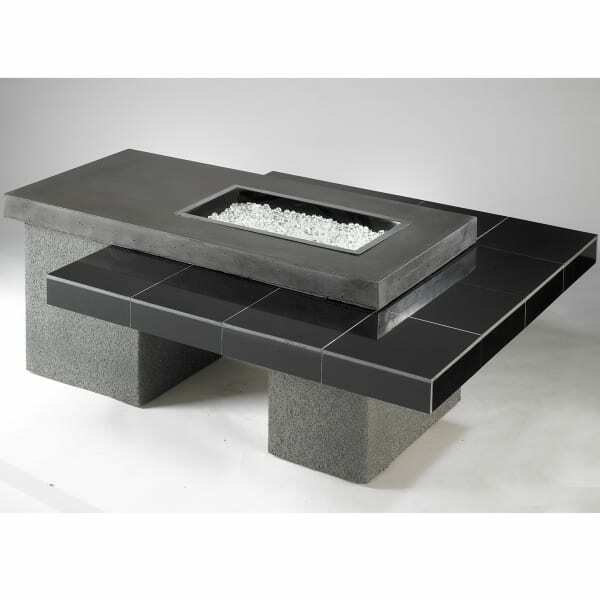 Smooth and sleek granite combines with beautiful stucco to form the ultra-modern Uptown Fire Pit Table from The Outdoor GreatRoom Company. Instantly add a contemporary showpiece to your deck or patio with this do-it-yourself fire pit table; it will ship within 72 hours, comes in easy to assemble pieces and will be a breeze to maintain. Imagine a frosty winter or fall evening, with guests flocking to the gas fire pit to warm up, chat and socialize. 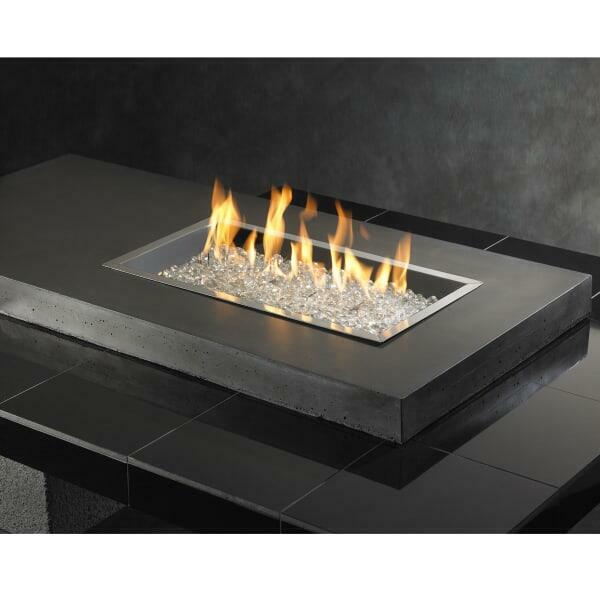 This is possible with this fire pit table that offers a fresh multi-level design and a gas fuel source (liquid propane) that is clean and simple to operate. 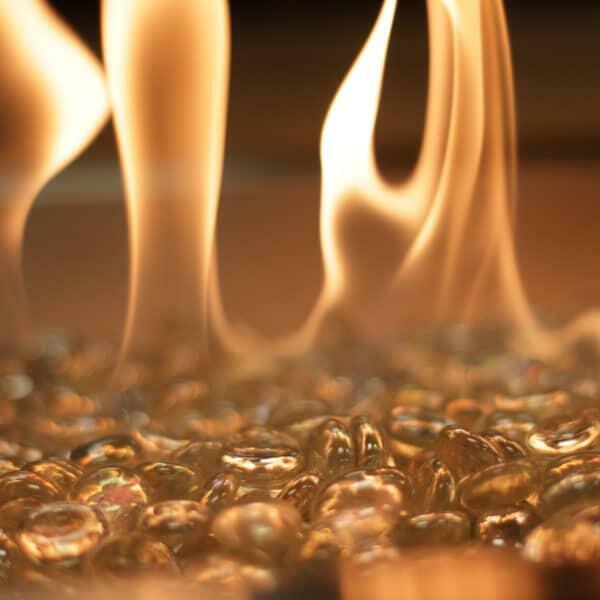 The liquid propane tank is stored away in the base of the fire table, providing instant warmth with an easy turn of a knob. 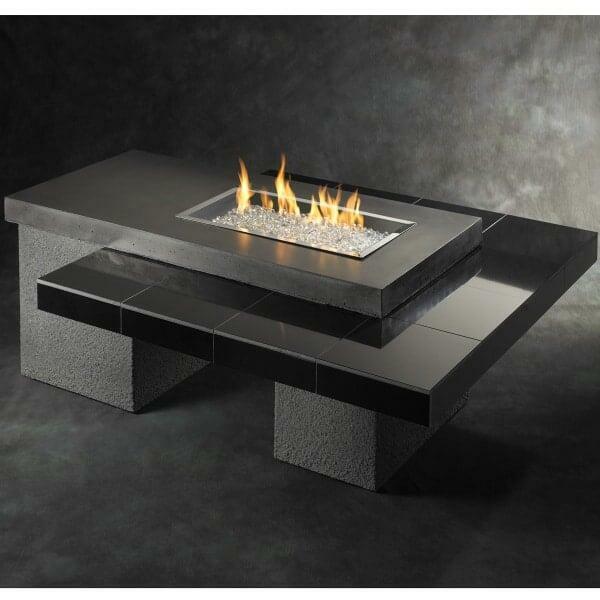 And this fire pit ships nationwide for free from Family Leisure, saving you time and money!